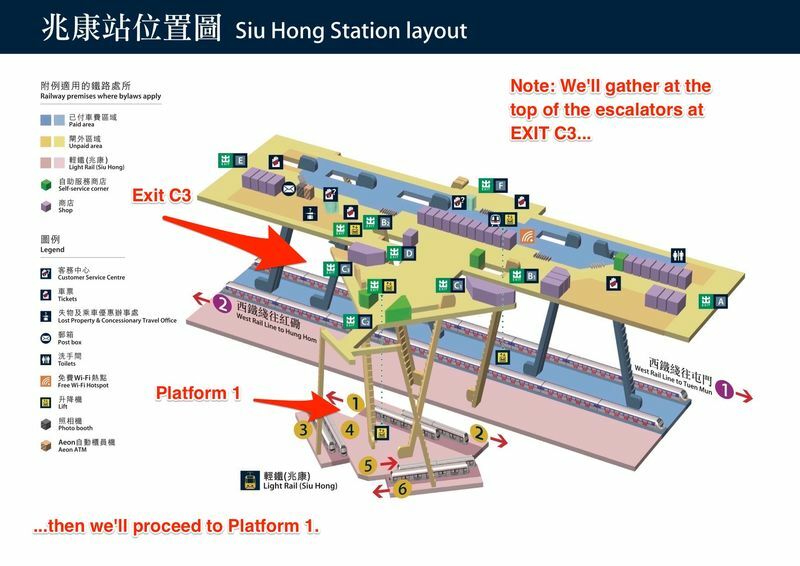 1/ We’ll gather at the Siu Hong MTR Station. 2/ There are several Light rail trains that will stop at Lam Tei / 藍地 where the monastery is located. Lam Tei is the NEXT stop on trains bound for the Yuen Long Light rail Terminus. 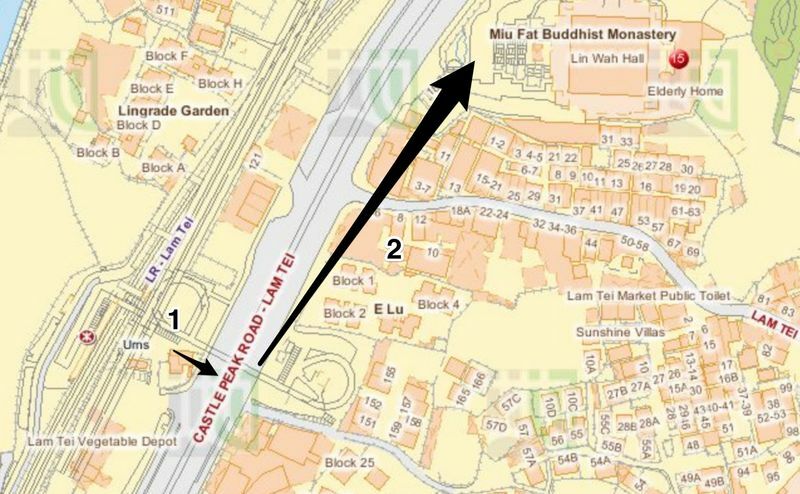 3/ Once at Lam Tei we’ll cross Castle Peak Road and walk to the Monastery complex. Afterward we can duck into Lam Tai Village and also do some shopping at the farmers market behind the Light rail stop. There are many elements in the design of the Miu Fat Monastery Complex that if read in detail would take a lifetime to study. Suffice it to say that the designers used many essential Buddhist ideas from both India and China to design and build the various structures. 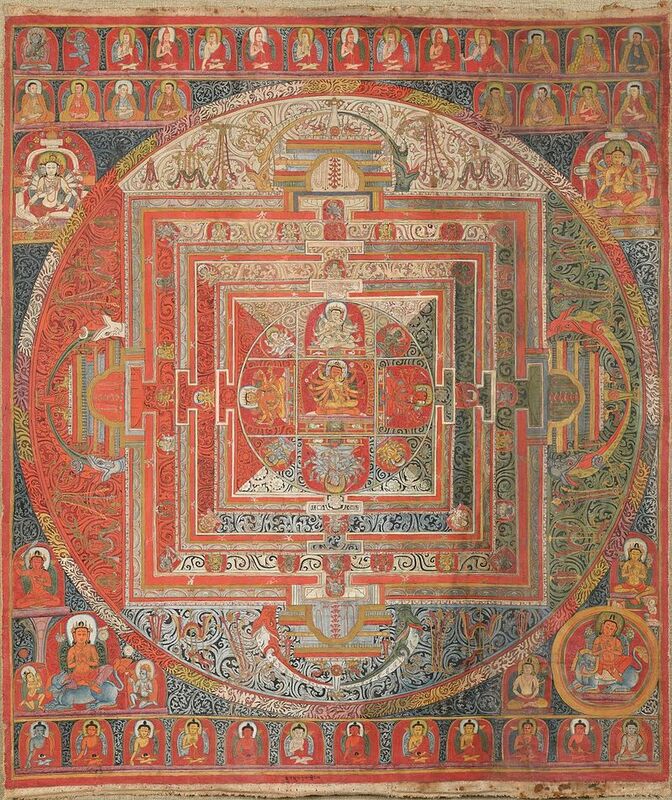 The Mandala / मण्डल, the holy Indian Mountain Meru / मेरु / 須彌座, the Four Noble Truths of Buddhism, and Feng Shui / 風水 all played their part in the design of Miu Fat. Below are several links to sites that summarize a few of the most important ideas used in the Monastery’s design. These link are not exhaustive. 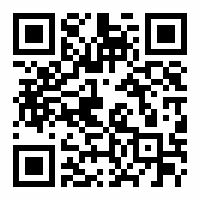 If you come across something that you think would be helpful in understanding these ideas please forward them to me so I can post them. In its simplest form the Mandala is a ritual symbol representing the Universe. Originally from the Hindu and Jain traditions, it is often used as a focusing or centering element in Buddhist ritual and meditation practice. A famous examples of the use of Mandalas are the hand made Sand Sculpture Mandalas in the Tibetan Buddhist Tradition. 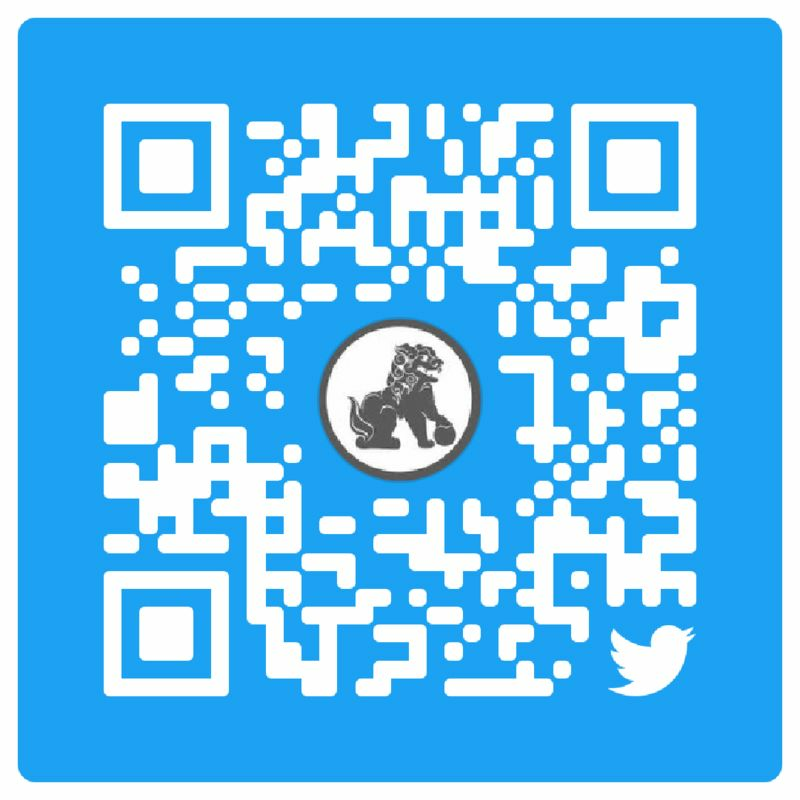 You can see a video of an example here. Mount Meru is a sacred mountain in the Uttarakhand Region in Indian along the Garhwal Himalayas. Sacred in Hindu, Jain, and Buddhist cosmologies Mount Meru is said to be the center of the physical, metaphysical and spiritual universes. It is often used as a leit motif for temple designs including Chinese Pagodas where their bases are often referred to as Meru’s Thrown / 須彌座. It really doesn’t get more foundational than the Four Noble Truths and the Eight Noble Paths used to address them. 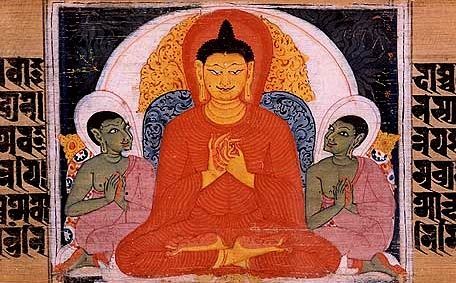 Much of the beauty and elegance of Buddhism addresses the idea of suffering and how it impacts our lives. 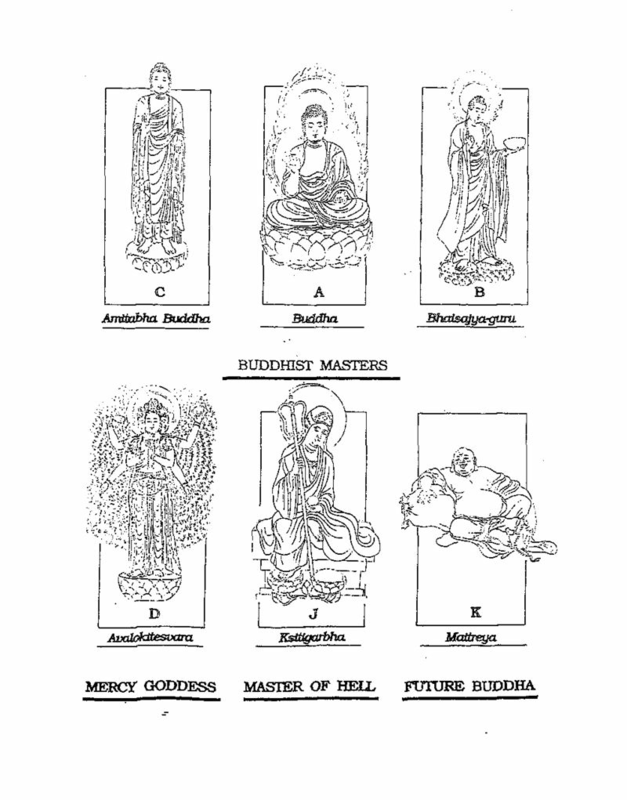 These elements often take architectural shape in Buddhist temple in either the depiction of them or the Buddha’s teachings on their cessation. Please note that there are several places in the temple complex where photography is NOT allowed. Kindly remember that this is a working place of worship and deserves our thoughtful behavior.